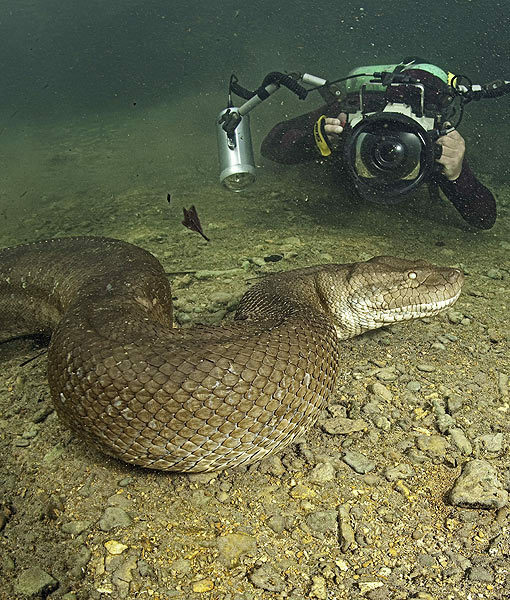 Franco Banfi, 53, a snake enthusiast and diver by profession went to Mato Grosso do Sul region of South America to closely observe and take pictures of this enormous beast. 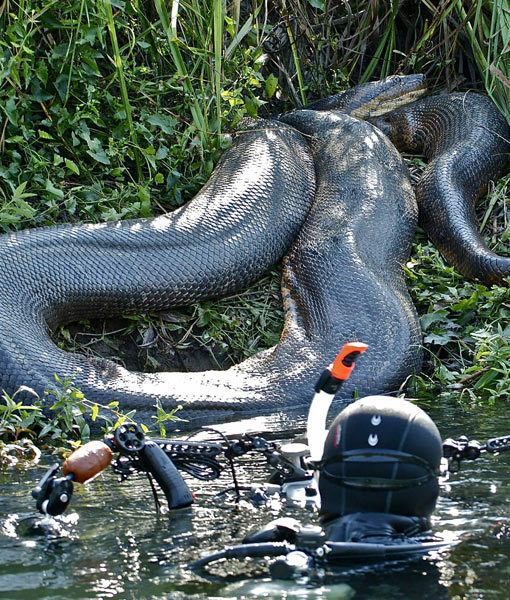 This brave man was armed only with his camera when he joined the anacondas in their natural habitat for ten odd days. 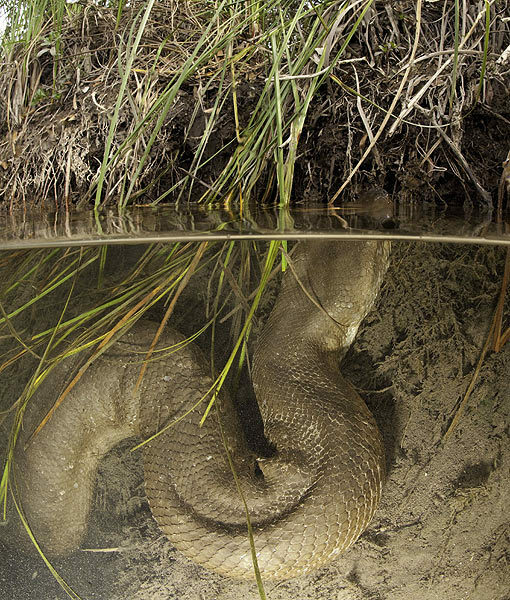 During his trip, he observed six female anacondas and went close to them to take their close-ups. This region which lies in the heart of South America is known for its greenery and natural beauty. The name ‘Mato Grosso do Sul’ means ‘Thick forest of the south’. 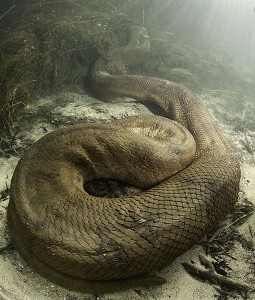 The anaconda snakes coil themselves and wait for their prey silently. They immediately attack on seeing their prey which includes fish and rodents. 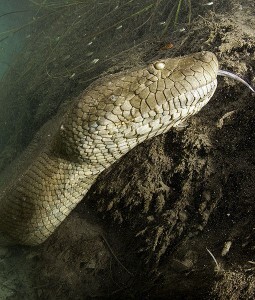 Banfi, who is a father of two kids, managed to capture the image of a massive anaconda that was lying on the river bank. The photographer was lucky since the huge beast had just devoured a capybara rodent and was not interested in eating the photographer as he was full. Banfi, who is a native of Switzerland, added that at first he was scared as he was not familiar with the animal. But later he realized that nothing wrong can happen if one respects the snake. The diver had never gone this close to any snake earlier. He added that an enormous anaconda is less scary and less dangerous than a small poisonous snake as one can easily see the huge anaconda and its actions. Previous article Have Your Heads up in the Clouds-Under a Roof! Next article Catfish Hunt Pigeons In France (Video). Have Your Heads up in the Clouds-Under a Roof! Catfish Hunt Pigeons In France (Video).